Medford is located in the Rogue Valley, 27 miles north of the California border between Portland and San Francisco. Is there a host hotel I can get a group rate at when I stay in Medford? Our host Hotel is the Rogue Regency Inn & Suites located at 2300 Biddle Road in Medford. Rooms are available for $72.00 per night and they offer a $4.99 full breakfast. 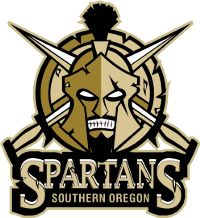 Make sure to let them know you are with the Southern Oregon Spartans when making your reservations (541-770-1234) to receive our special rate. Does Medford have an airport? The Rogue Valley International-Medford Airport is a non-hub facility located in southwestern Oregon serving the City of Medford, Jackson County, and the entire Rogue Valley, in addition to 7 other counties. Commercial air service is provided by Horizon Air; United Express and Delta Connection, offered by Sky West, and Allegiant Air. These carriers offer approximately 60 arriving and departing flights daily to and from San Francisco, Portland, Seattle, Los Angeles, Phoenix, Denver, Las Vegas, and Salt Lake City. Is there staff available to show us the facilities when we travel to Medford? There is someone available every day of the week to show you the facilities. It is best to call ahead (541-282-8430) and make an appointment to ensure we have someone here to meet you. How can I watch a Spartans game if I am not able to make it to the rink? All of our games are live streamed on fasthockey.com Visit their website and setup an account and never miss a Spartans game again! Does the team have someone to help my player navigate their academics? Our academic liaisons top priority is to help you navigate the higher education world and prepare you for your post Junior Hockey plans. She takes this process very seriously while still making it fun and informative. You can contact Katilyn atcollegeadvisor@sospartans.com for any questions and/or concerns regarding your player’s academic future. Is there a community college or university my player can attend? We highly recommend that you take a class or two at Rogue Community College orSouthern Oregon University to keep you in prime shape for the rigors of academic life. If you are interested in attending one of these institutions please be prepared to apply soon. How many times a week are players on the ice for practice? Players practice on ice between 3 and 4 days depending on the travel schedule. How long are ice practices? Regular ice practices are 1.50 hours. Games are played Friday, Saturday, and Sunday throughout the league. Does the team have access to extra ice if players want it? The rink has several slots of drop in hockey throughout the week that players can attend – price depends on morning or evening drop in slot. Is there a gym or weight training facility? Yes, Spartans players will have access to a gym 24/7 where they can attend with or without their trainer. Is off-ice training supervised by Spartans staff? Yes, we have a certified Strength and Conditioning Coach that runs all off-ice training and the Head or Assistant Coach is around to supervise also. How many times does the team work out off ice during the week? The beginning of the season we will work out almost every day. Then it will taper off as we move forward with a minimum of two days a week for training. Our strength trainer is going to make sure our players have proper form, and recovery to make gains throughout our season. Does the team have its own locker room at the rink? Yes, we have our own locker room. What does a non-U.S. player need to come across the border for the season? Your player will need a B1 Visa request letter from our team to take to your appointment with the embassy/immigration. Can a non-U.S. player work during the season? Unfortunately, import players are not able to work here in the U.S.
What should I expect to pay for the season? Does the team have host/billet families for my player to stay with during the season? All of our families must pass a criminal background check before being accepted to house our players. Our Billet Coordinator inspects every home to make sure that it is a safe environment for the player staying. You can contact Robin at robin@sospartans.com for any questions regarding billeting. How much are billet fees each month? We do prorate the first and last month players are here at $10 a night. All other months are $300 per player regardless of travel schedule. Can my player work during the season? 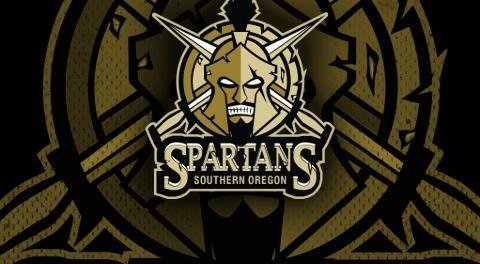 The Spartans will make every effort to help guide players to businesses that are hiring and also network with their local sponsors and contacts. Any player that obtains a job during the season is responsible for providing their work with the team’s schedule. Players will need to let potential work places know that they will have limited availability to work. We highly recommend having your own vehicle while here in Medford. Players without transportation will have to rely on their teammates to get them around as well as chip in for gas money. Our host families are not responsible for getting players to and from team functions, school, or work. How do we travel to away games? The Spartans have their very own team bus! The bus has 30+ seats as well as bench seats and sleeping compartments. Our bus driver has years of experience and does a phenomenal job transporting our team.